Bangalore is the capital city of the state of Karnataka. It is officially known as Bengaluru. It is situated in the southern India on the Deccan plateau. Bangalore is also referred as “IT capital of India” because it plays an important role as the information technology (IT) exporter. It houses various educational and research institutions. The literacy rate of Bangalore city is 87.67 %, according to the census 2011. Students from all parts of India prefer this city for pursuing management courses due to several reputed management colleges. 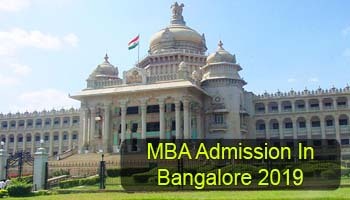 Through this article, students can check details for MBA Admission in Bangalore 2019. Admission will be done through entrance exams which are organized at national, state and university level. Students can appear in any one of these exams to get admission in management courses. After that, candidates also have to qualify the further admission rounds organized by their respective college. There are two state level exams are organized like KMAT 2019 (Karnataka Management Aptitude Test) and Karnataka PGCET 2019 (Karnataka Post Graduate Common Entrance Test). Students seeking for admission in IIM must have qualified the CAT 2019 examination. Candidates can also apply through MAT 2019, XAT 2019, CMAT 2019 & ATMA 2019 examinations. 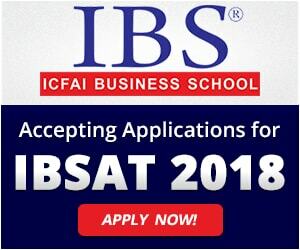 IBS Business School organizes its own entrance test IBSAT 2019 for providing admission in MBA courses. Bangalore is home to some of the top management institutions. 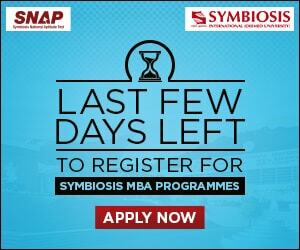 Some of the top MBA colleges in Bangalore are Indian Institute of Management (IIM), Indian Institute of Science (IISc), Xavier Institute of Management & Entrepreneurship, IBS Business School, etc. Students must hold a graduate degree in any stream from a recognized college or university. Candidates should have secured at least 50% marks for general category and 45% marks for reserved categories. Final year appearing students are also eligible to apply. Firstly, candidates have to qualify the entrance test (as applicable). A merit list will be prepared on the basis of marks obtained in the entrance exam or qualifying exam. On the basis of merit list, students will be selected for group discussion, personal interview and other admission rounds. After qualifying the admission rounds, students will be eligible for admission. Seats will be allotted to candidates on the basis of merit, category, performance in the admission rounds and availability of seats. For any other queries about MBA Admission in Bangalore 2019, you can ask us by leaving your queries below. Can u plz date of entrance exam…. Application is already released for MBA courses.